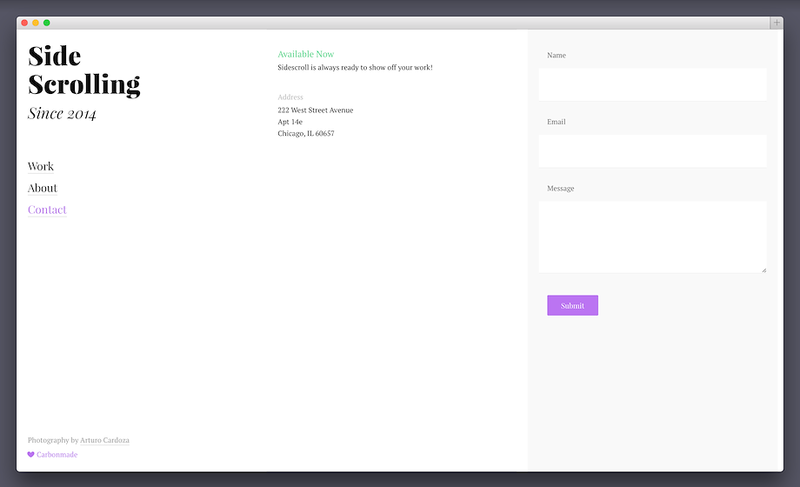 Note: If you already have an account, you can switch to Sidescroll in the Design section. More info. Sidescroll is for those who refuse to be bound by convention. Down is not up, up is not down and sideways is the only way forward. With a gentle slide to the right, it's like you're strolling through the MoMA itself. 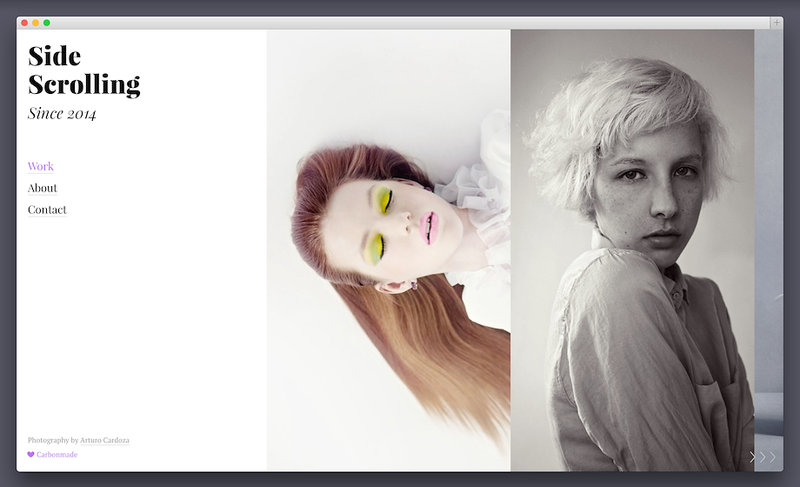 Photographers of all stripes will dig Sidescroll's gallery-esque style but this theme also works darn hard for fashion stylists, architects, visual artists and more. 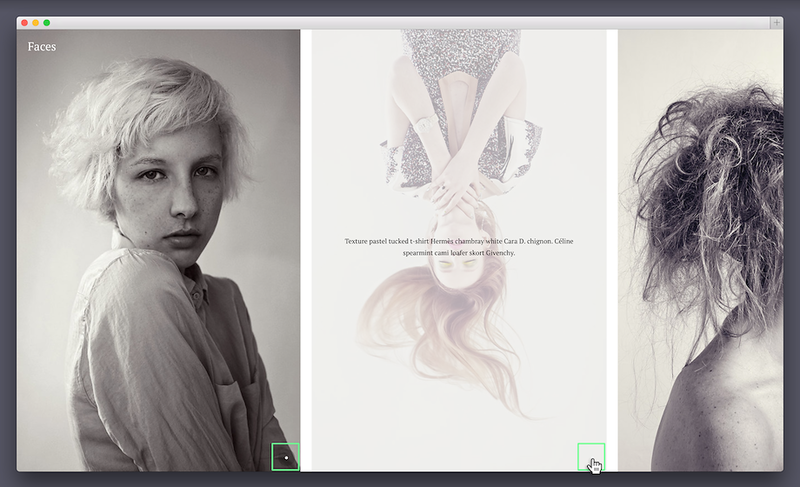 We recommend this theme for those who want to showing off their work in a way that is fresh, modern and beautiful. It makes a great first impression and is lightning quick to move through without giving up an ounce of style. Just like a modern museum or gallery, Sidescroll is elegant, airy and a pleasure to view. 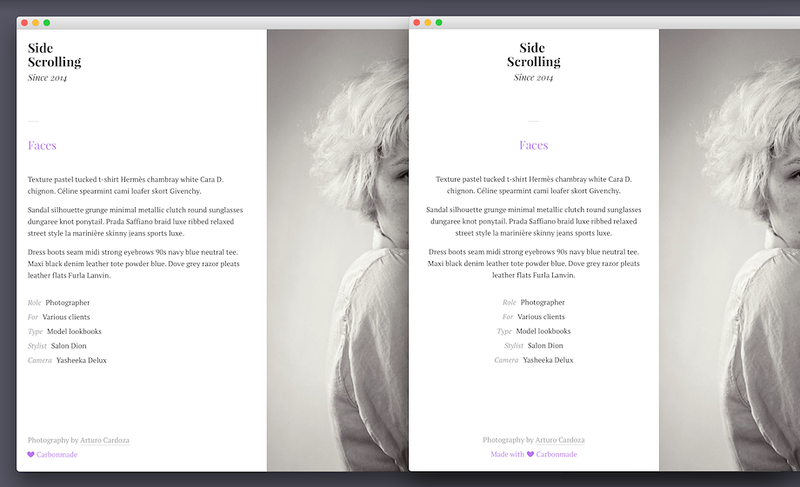 Check out our sample theme to watch Sidescroll strut its stuff! The thumbnails on Sidescroll are 450 × 800 px. All the images on Sidescroll are 800 px maximum height. The Profile photo on Sidescroll is 450 × 800 px. 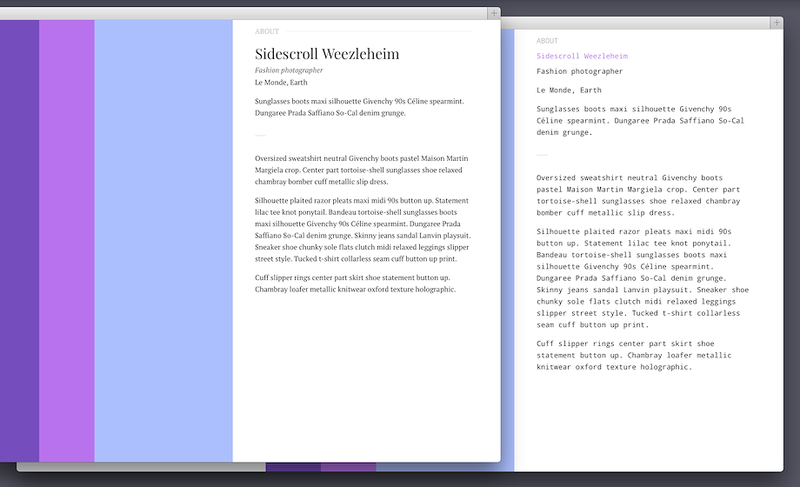 We're still hard at work on a customized mobile experience for Sidescroll. In the meantime, your work is beautifully presented in our classic Thumbs theme when viewed on mobile devices.